Romance, flowers, chocolate, music and…. I know, I know – there are some GREAT posts in cyberspace about the perfect hero. To get a yummy taste of a few go here or here. But I want to examine a few specifically. A few heroes from novels and what makes them heroic. Generally, there are four basic pieces to a person – including heroes. Three of them are intricately woven together, and the fourth, well it’s just for eye-candy. Let’s start with the most obvious trait: Body. Most heroes are handsome, let’s admit it. There are rare occasions when a hero isn’t super-gorgeous, but 90% of the time, the physical appearance of the hero catches the heroine’s attention in some way or other. Whether his eyes, his hair, his smile, or maybe even his voice, there is something that first sparks interest in the heroine. Tabitha had never seen a man with such beautiful eyes. The rich, deep brown of coffee, they sparkled with pinpoints of gold light behind a fringe of lashes that would have made them feminine if not for his strong cheek bones and firm jaw. The powdered hair, ridiculous as it was in Seabourne, created a striking contrast to the dark eyes and sun-bronzed complexion. Ellen loved taking a guy out of his four-wheeled cage and putting him on two wheels with nothing between him and the abrasive paving. It separated the men from the boys. And Sinclair was definitely a man. He’d leaned with her on the curves in the road and kept her from wobbling all over creation like stiff, first time riders tended to do. And that rock-hard chest under his silk shirt and business suit was definitely that of a manly man. Still, she’d never been held quite so…whole-heartedly. Notice that physical characteristics are the first signs of interest. Most of the time in fiction (and in life) this is the case, but as we all know – it’s only a package. What’s on the inside is what matters most – and that’s true for stories too. When she didn’t respond, Tom set her on her feet, turned, and stalked toward the house, as if he planned to pack the three children up and take them without her permission or company. She reached for her rifle and grabbed…air. Looking down by her right hand where the muzzle was always waiting, she realized, it was gone. Looking up, she saw Tom carrying it. “Looking for this?” He raised his arm high so the gun was silhouetted against the starlit sky. What about a man’s talent? Audra Harders describes it like this in her debut novel, Rocky Mountain Hero. Gabe’s fingers danced along the neck of the guitar as graceful as the hawks she’d seen the other day soaring through the air. Gabe hummed and picked at his guitar. His eyes closed, he appeared in complete worship. Many times our heroes have specific smarts. Sherlock Holmes is the ultimate example. He certainly wasn’t part of a romance (though the notion of a novel like that is spinning through my head), but his brilliance defined him. Each hero shows his knowledge. How does yours? Heart – the compassion, tenderness, protective-instinct, determination, ROMANCE, and spirit of your hero. There are SOOOOO many examples, but let me just share a few. Mourning. A startling realization stole over her. He was telling her he wouldn’t touch her so soon after Pa had passed, that she needed time to grieve…. A flicker of surprise played over his handsome face, but his gaze remained steadfast…. The tender question touched her. “Never surer,” she answered. Gently, like they were about to dance, he took her in his arms, and she felt a wall within him give way. Whew…isn’t that scene so lovely. Passion and tenderness all rolled up into such a short amount of space. Oh dear, I do so love that story. Shall I turn up the heat even more? No one does it better than Julie Lessman- let’s look at a short scene from A Hope Undaunted. And before the air could return to her lungs, his mouth dominated hers with such gentle force, it coaxed a breathless moan from her lips, heating the blood in her veins by several degrees. As Christian writers, our worldview should come out in our stories – whether overtly or woven into the pattern of our novels. Soul is a part of our characters, and seems even more beautiful in our HEROES. 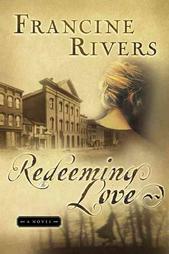 One of the most beautiful novels I’ve ever read which shows the spiritual aspect of the hero is Redeeming Love by Francine Rivers. Here’s a short scene from the book to show how his faith influences his behavior. It was growing colder and they needed to return. They dressed in silence, both tormented, both trying not to be. She came to him and put her arms around his waist, pressing herself against him, as a child would looking for comfort. He closed his eyes against the fear uncurling in the pit of his stomach. I love her Lord. I can’t give her up. Michael, beloved. Would you have her hang on her cross forever? Michael let out a shuddering sigh. When she lifted her face, he saw something in it that made him want to weep…. Lifting her, he held her cradled in his arms. She put her arms around his neck and kissed him. He closed his eyes. Lord, if I give her up to you now, will you ever give her back to me? Read the book to discover the answer. There you have it. The essence of a hero. Tell me about your hero? Body, mind, heart, and soul. Goodness, Pepper, that was brilliant. Let's see, my hero in real life is my preacher. ;) He is tall and handsome, with dark hair and light blue/green eyes. He is intelligent, with wisdom from above. His heart is pure, loving God first, which allows him to love his wife & children completely...and well. And his soul...it is a beautiful thing to get to daily view a soul loved by God. It makes me pant for God's presence. It makes me long for God's touch. My hero is my beloved and he is beloved by God. I love Lessman's "all but stealing her air". What a fantastic post! Thinking about which hero to choose. I think I'll just think on these for awhile! Impressive. Wow, awesome post, Pepper! I loved the examples. Shows how they can all have different personalities and backgrounds but still be heroic to the heroine. Great post, Pepper! Now I'm going to have to go out and buy all these books so I can read them :) I love coming up with unique heroes that capture my heroines heart in special ways. In the WIP I'm editing, it doesn't hurt that my hero has one of those smiles that stops traffic, can play the guitar, and best of all, the heroines daughter loves him. Wonderful post and great quotes, Pepper! I just finished reading The Duchess and the Dragon by Jamie Carie, and absolutely love Drake's character...even though I didn't think I would at the beginning. The best part was how he loved Serena...he was definitely at his best when in love! Great way to start this week! Wonderful excerpts, Pepper. I sighed my way through that scene from Courting Morrow Little when I read the book. My Gwynly has lotsa heart. It's one of the many things I love about him. You went way out Pepper. Through this post I discovered "new" writers. But who is that man in the picture? I weant him!!!! Oh my goodness, Pepper. You do know how to fill a Valentine's Day void, don't you? Wonderful examples and even though I'm partial to Rocky Mtn Hero (LOL), I loved the examples from everyone else!! That is beautiful! Super! Super! Thanks, Sarah - and totally agree. Heroes are all shapes and sizes, but at the core - they hold our hearts. All the books are GREAT!! I love them. They are on my keeper shelf. Don't you just love Jamie's writing style. Whew... You've GOT TO READ Love's First Light. WOW!!! BEAUTIFUL and her hero is quite unique. 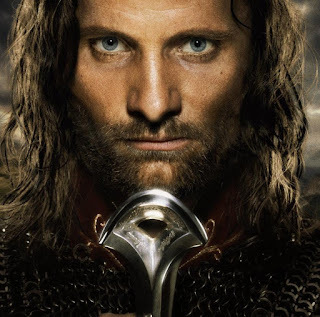 THAT man is the awesome Viggio Mortensen who is playing the character of Aragorn in Lord of the Rings. So glad you could drop by for some sweets!! Nothing better than Sweet people bringing in their sweetness. Yes, Pepper he totally reminds me of Mr. Rochester!! Thanks for including me in this toe-curling selection of heroes -- FABULOUS!! What a fabulous Valentine's Day post, Pepper! Well done!